Hello! *starts dancing along to the song playing in her one earphone because the bud broke on the other one... but she's not bitter. oh no* Ooh. Guys. (This is turning out to be the most random introduction ever) but do you ever feel that like... your phone and your phones music...I don't know how to explain it... gets to know your music preferences. Like when I put my own music on shuffle and I'm feeling like a bit of Birdy... it puts 'People Help the People' on. Or if I'm in a happy/ confident mood it starts the songs off with the Flawless remix. I don't know. It's just a theory I have. Don't even know why I shared that but oh well. On with the post! Ok so one of my I use Ok way too much. 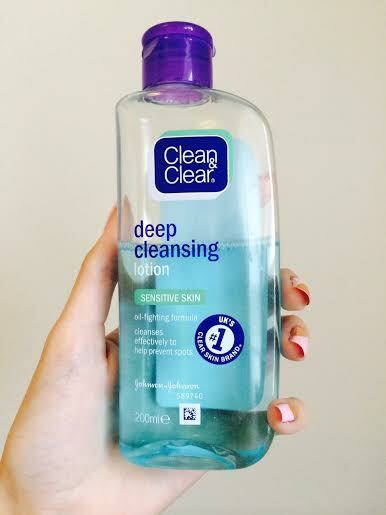 So one of my summer aims was to get clearer skin *scoffs*. Reflects on how her skins doing. *un-scoffs* and so I popped out to the shops to try and buy some skincare products. I came out with the essential Waitrose 4 in 1 cucumber facial cleansing wipes and the Clean & Clear deep cleansing lotion for sensitive skin. 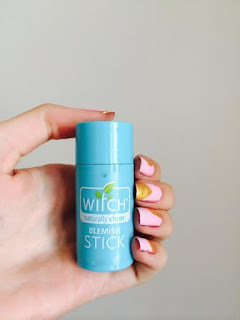 I also dug out a skin product I had kind of forgotten about which was the Witch naturally clear blemish stick (why call a skincare brand Witch. Like, isn't that the skin we are trying to avoid!? XD) Anyway I thought I'd let you know a bit about them and how I have got on with them! 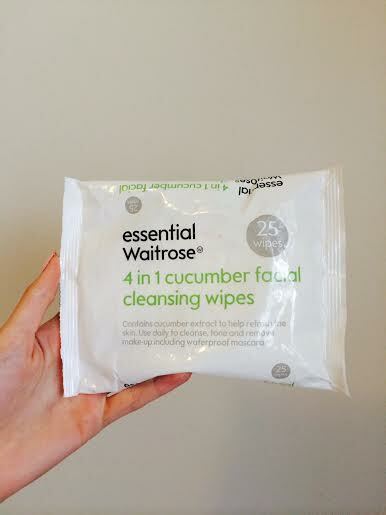 1) Waitrose 4-in-1 Cleansing Wipes. I decided on these makeup remover wipes mostly because they were meant to smell of cucumber and I really like fresh and clean smells like that. However when I opened the packet and tried them out I realised that they smelt like watermelon!? I don't mind at all because it happened to be one of my favourite scents but I don't know whether they got it mixed up at the factory or my nose is wrong or something but that's just a little warning. For £1 these are really good- they aren't really dry like other wipes I have tried out and they remove makeup (especially tricky mascara) really well, and leave you feeling refreshed. Definitely worth a try if your around Waitrose! I bought this because it says it works especially well on oily skin, which is my skin type, and also because the liquid is bright turquoise! You can tell I didn't really know what I was after when I was looking as I bought things based on their 'pretty colours' XD! Anyway I've been using all these products for about a week and a half now and this product has made me notice a real difference in my skin! It is a lot less oily and I've only got two new spots on my face since using this, which for me, is a huge improvement. I use this every night and every morning before applying my makeup for the day, and because it tightens your pores it reduces their appearance and so shows through makeup a lot less. I think I got this for £4! 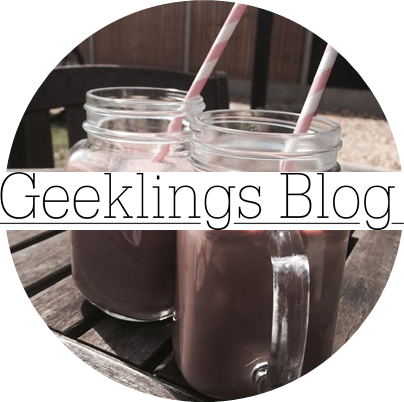 *Little note* I've not tried the Garnier Micellar cleanser but I really want to give it a go! If any of you already have please tell me how you got on with it. I've had this product quite a while now but I've only just got into using it! As opposed to the two other products I've used this isn't part of my morning and night routine, just because I'm scared that it might be too harsh on my skin if I apply it twice daily! All you do is twizzle the stick up, dab/rub it over the areas you want to treat and then wind the stick down and put the lid on again- simple as that! Don't do what I did one night when I had a significant amount of breakouts and completely rub your face all over because, oh my goodness, the fumes that came of that thing! My eyes watered and I couldn't smell for a few minutes *maybe a slight exaggeration but at least you get the picture! * You can almost instantly notice the difference in the size of your spots, as it tightens them up. Because of the really fresh smell it leaves you feeling clean and the perfect end step to your routine. I think this was £2.59 so bargainous!